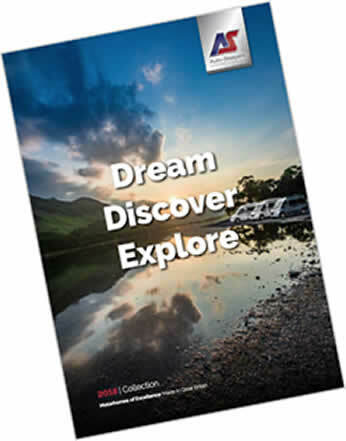 Here, at Derby motorhomes, we like to display as much information for customers as possible, this helps potential customers see exactly what comes as standard and also what other specifications are available too. Also important are the actual prices and details of any additional, extra costs. We display the actual on the road (from) prices and then a breakdown of what the actual premium packs costs. So, with many available options to increase specification, we provide detailed information on all of the different Premium Packs and their prices. Therefore, where we provide a “look inside” option, our virtual reality videos and our YouTube videos will usually display models that have full specification. So, this provides a detailed over-view; we show, in our options section, everything that is either a standard fitting or an option. Thus, the customers can see a full specification, with Premium Packs included. Download the 2019 Brochure below. In fact, we like to display the cheapest list prices available to buy a 2019 Auto-Sleeper. We then show, in green, an “on the road” price that include the additional, popular Premium and Winter Packs. What else can be additional options? There are many other great accessories and features, that are an option for Auto-Sleepers customers to consider. From full Media Packs, additional solar panels, cycle racks, and even chassis weight upgrades along with automatic gearbox options too. The list of options even runs right down to the customer options regarding furniture and fabric choices. Our aim is to try to provide as much detail in our descriptions as possible. Sometimes manufacturer changes are made that may affect the availability, make or price of some of these extras. If in any doubt, please contact a member of our sales team for further information. 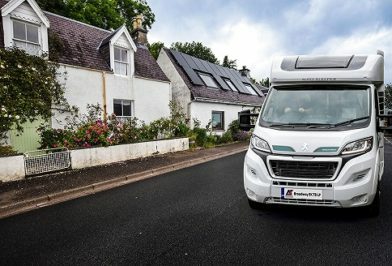 So, do you need some help on motorhomes for sale, 2019 specifications or offers and prices? If so, our sales team will be delighted to guide you through, step by step, current and available options and specification. They will be happy to discuss lead times and costs with customers old and new. These form our “from, on the road prices”. Just complete the registration and it will allow you to download the brochure.